Gaston Technologies has teamed up with Bepoz to provide a Point of Sale system that combines day to day transactions with advanced native reporting and operations functionality. Bepoz currently has the most comprehensive native reporting in the industry which can be scaled up as you grow, with reports that can be customised to deliver all your Business Information in a single email, direct to your inbox. 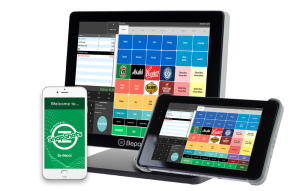 Bepoz is one of the world’s leading POS systems designed specifically for the hospitality industry and is integrated with most popular accounting and time management systems, as well as integrating seamlessly with ResDiary. The Bepoz to ResDiary integration includes a two-way information flow, allowing for accurate tracking of your customers activities and the ability to generate your customer database within Bepoz as you go.